Defense Secretary Jim Mattis listens as President Donald Trump met with senior military leaders at the White House in Washington, Oct. 23, 2018. Mattis was reportedly livid over the fact that junior officers were being reprimanded over the 2017 ambush in Niger that killed four soldiers, while the officers directly above them were not. WASHINGTON — Jim Mattis, the four-star Marine general turned defense secretary, resigned Thursday in protest of President Donald Trump’s decision to withdraw 2,000 U.S. troops from Syria, where they have been fighting the Islamic State. Trump announced the resignation in two tweets Thursday evening, and said Mattis will leave at the end of February. Officials said Mattis went to the White House on Thursday afternoon in a last attempt to convince Trump to keep U.S. troops in Syria. He was rebuffed, and told the president that he was resigning as a result. Hours later, the Pentagon released Mattis’ resignation letter, in which he implicitly criticized his commander in chief. Mattis said in the letter that he believes the president deserves a defense secretary who is more in tune with his worldview. “One core belief I have always held is that our strength as a nation is inextricably linked to the strength of our unique and comprehensive system of alliances and partnerships,” Mattis wrote. His departure leaves the Trump administration without one of the few officials viewed as standing between a mercurial president and global tumult. The president said he would name Mattis’ replacement shortly. The president’s tweets announcing the departure of his defense secretary shocked officials at the Pentagon, who as recently as Thursday afternoon were insisting Mattis had no intention of resigning his post, despite his anger over Trump’s decision, announced Wednesday, to withdraw U.S. troops from Syria. 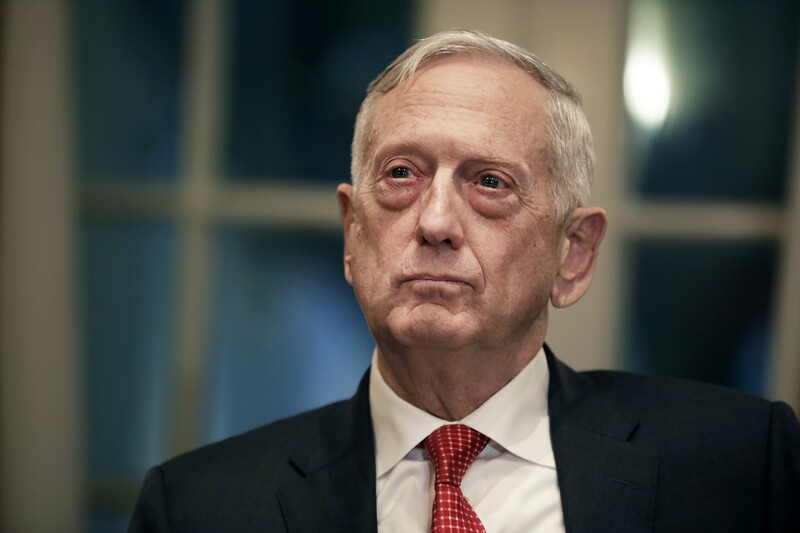 Mattis had told close friends he would continue in the job despite his deteriorating relationship with Trump, because he viewed his commitment to protecting the Defense Department and its 1.3 million active-duty service members as paramount. As defense secretary, Mattis oversaw the world’s most powerful military, supervising active-duty troops based in the United States and deployed worldwide, including in war zones in Afghanistan, Iraq and on the Saudi border with Yemen. There are also around 25,000 U.S. troops in South Korea, where they have served for generations as a deterrent against North Korea.